Park Pride’s 25th anniversary is this year and they’re celebrating by giving away FREE King of Pops at 25 different parks around the city. 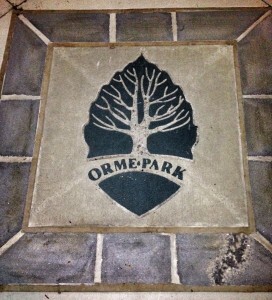 Thank you, Park Pride, for choosing Orme Park to help you celebrate! Come to the park’s main entrance this Sunday, July 27th from 3:00 to 3:30 pm for your free pop. Supplies are limited and it’s first come, first served so get there early if you want a free pop. Park Pride is committed to helping serve the community by improving local parks and green spaces. 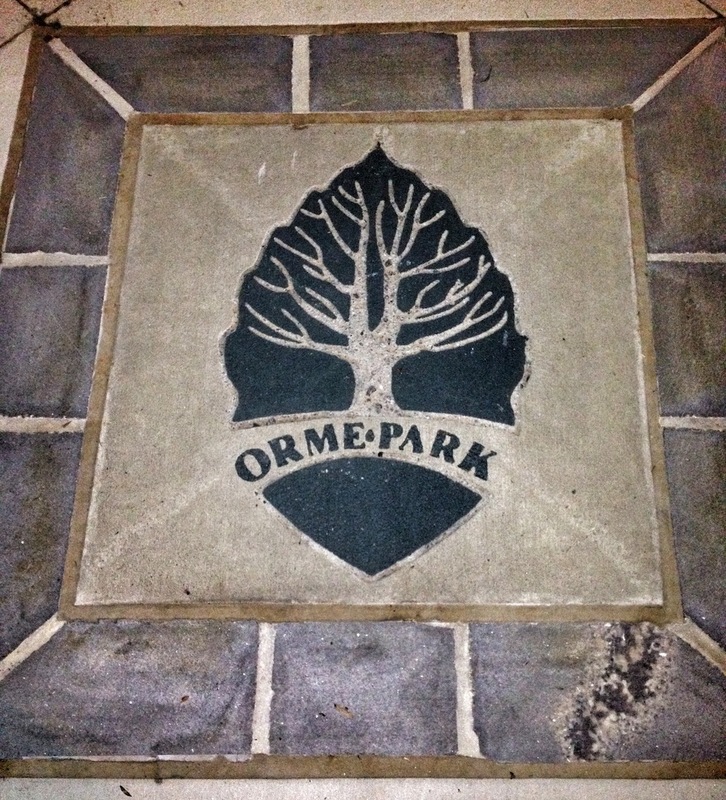 Park Pride has been a partner with Orme Park through Friends of Orme Park, which participated in Park Pride’s Park Visioning Program in 2007. Later, a partial grant for Phase I construction was awarded which helped cover the cost of moving the playground, and constructing new seating walls and our grand entrance. Park Pride also provides volunteers and tools for Orme Park work days. We hope to see you this Sunday from 3:00 to 3:30 at Orme Park! Please help make this a green event by walking or biking over. And, if you’d like to help make our park shine in the many pictures that will be taken at the event, please come by Saturday at 9:00 am for a quick park clean-up. 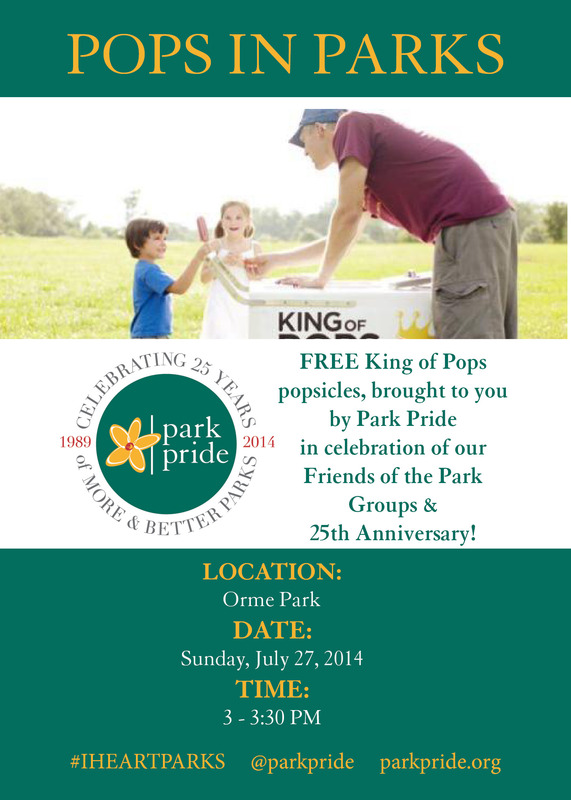 This entry was posted in news and tagged 2014, kingofpops, ormepark, parkpride by John Becker. Bookmark the permalink.